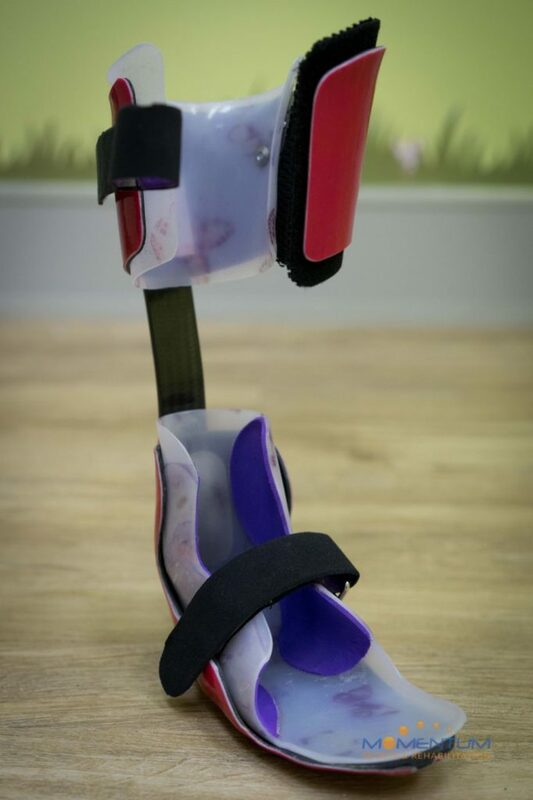 This ankle-foot orthosis (AFO) has been custom made in our Canberra facility for a young girl with Cerebral Palsy who would like to run around with her friends at school. 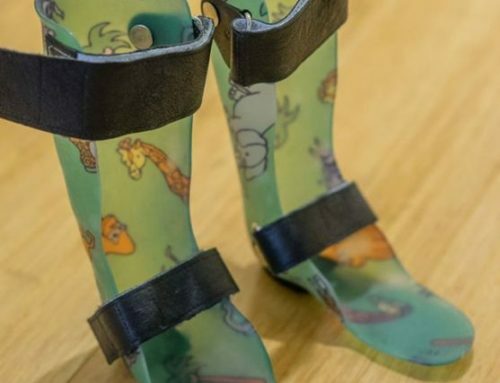 It is very common for children with Cerebral Palsy to require an AFO for maintenance of a stable ankle position in walking to support muscle weakness and imbalance, as well as prevent long term ankle or foot deformities. 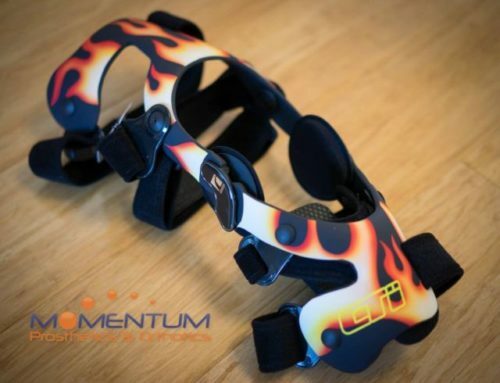 We are commonly fitting this new style of Dynamic AFO to clients of all ages who are seeking higher levels of function, and have achieved amazing results with clients in early stages of degenerative muscular and neurological conditions such as Multiple Sclerosis, Muscular Dystrophy, and Charcot-Marie-Tooth. It may also be suitable for clients with flaccid foot drop or nerve compression injuries affecting ground clearance during walking. The Dynamic AFO is manufactured from carbon fibre to keep it light weight and strong. 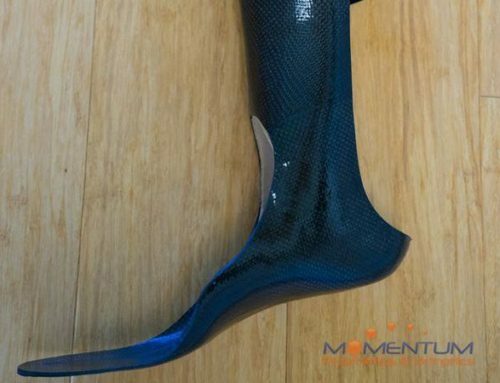 The removable custom made plastic supramalleolar orthosis (SMO) provides improved support for this client’s ankle and foot position, and allows easy adjustment as she grows. 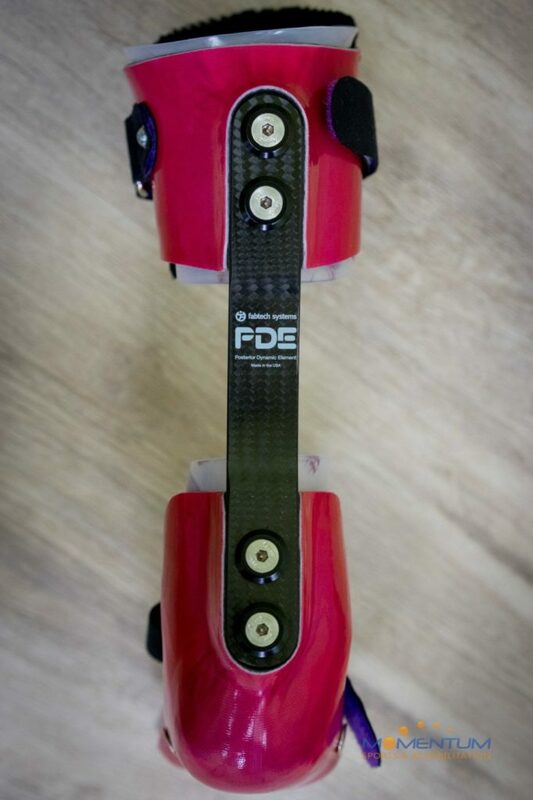 The carbon fibre strut is designed to flex and return energy during walking, much like a running prosthesis (“blade”) flexes and returns energy for an amputee runner. Energy is stored in the strut through a natural bending movement at the beginning of the walking stride, and this energy is then released like a spring at the end of the walking stride. Cyclic compression and release simulates natural ankle movement and provides the propulsion force that most people experience with each step – a big issue for anyone with ankle weakness. With the use of these removable struts we have the ability to tune and change the dynamics of the AFO. It can be used for daily walking, or with a stiffer strut it may be used for running. The top section of the AFO keeps the knee stable and supported during running. 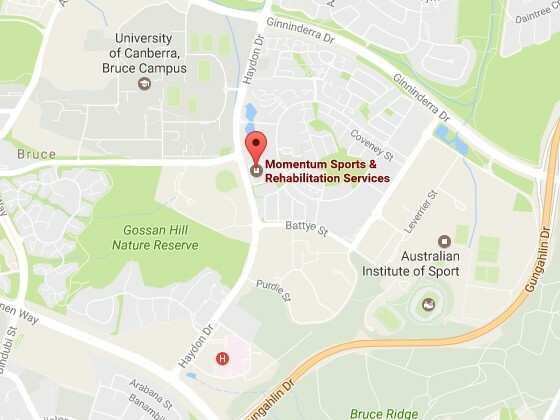 This is particularly important for clients with muscle weakness or control difficulties.